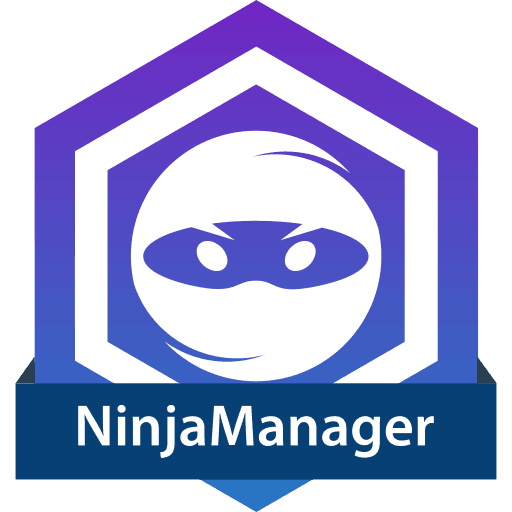 Automate your daily start-up routine with the ninja manager. The NinjaManager automates the entire NinjaTrader (7 and/or 8) startup process, connecting to your data feed(s), opening all your set workspaces, and even deleting the data cache (optional). NinjaManager ensures you are up and running…ready for that next trade setup…before you even arrive at your computer…with perfectly clean, uncorrupted data downloaded fresh from the data provider (essential for Market Geometry Analysis). Starts up NinjaTrader before you even sit down to your computer. Just set the desired time and the NinjaManager. The NinjaManager will open your workspaces, connect you to data and then cycle back through all of your workspaces in order. Automatically clear your data cache to ensure you have no corrupt data before your trading day begins. AUTOMATE YOUR STARTUP ROUTINE SO YOU NEVER MISS THAT FIRST TRADE OF THE SESSION, AGAIN! We know how crucial it is to save time throughout your day. Hours, minutes, and seconds lost are detrimental to your success as a trader. With every piece of software we build, we’re always looking for ways to reduce time-drains. When you wake up in the morning and sit down at your computer, how long does it take you to completely load all your workspaces and data? Well, if you’re like we are, then you have several workspaces and charts which have a few different indicators on each of them. Depending upon the total number of charts you have, and the types of indicators on them, this startup process can take up a ton of valuable time. You can easily miss that first, best trade of the day, just because your software isn’t fully operational yet! And this doesn’t even account for the amount of time that it can take to re-download data AFTER you have cleared your cache (a crucial thing to do if you want to avoid slowed performance and corrupted data). Our FREE software, NinjaManager, solves this problem. It automates the entire NinjaTrader (7 and/or 8) startup process, connecting to your data feed(s), opening all your set workspaces, and even deleting the data cache (optional). No missing bars or data. Utilizing this time-saving app make you an even more proficient & productive trader. Add the NinjaManager to your arsenal of professional-grade trader tools. For serious traders, only.